on our recent trip to los angeles we met old friends for lunch at chichen itza, a convenient hop, skip and jump from the exposition park museums we always go to with the brats. chichen itza is a very popular stand at mercado la paloma--a cooperative spacce that includes a large food hall. i don't know much about yucátan food but we really liked what we ate here. highlights included panuchos, salbutes, sikil-pak and their chicharron tacos. full write-up on the blog (includes some reminiscing about the pre-gentrification usc neighbourhood). Bistec a la yucateca is a new one for sure. Yuca's in Hollywood has some Yucatan stuff (cochinita pibil, e.g.) as does El Portal in Pasadena. they don't eat grilled steak in the yucátan? Also pollo pibil is most often served sort of shredded after very long pib-ing, although it's not out of the question for it to be whole thighs, and the presentation of everything pabellon style (esp with the frijoles not colados) is just weird, maybe you can find it in comida casera / economica style lunch counters but I don't think I've ever seen c. pibil, for example, served with anything but onions, habanero, and tortillas, or in a sandwich. Maybe the chef is half Cuban. well, this is a counter. and for what it's worth, the family that runs it is from the yucátan. my guess it's yucátan-style food being served/presented in a los angeles style. That's the bio for the chef's father. The chef is, I'm guessing, from LA. 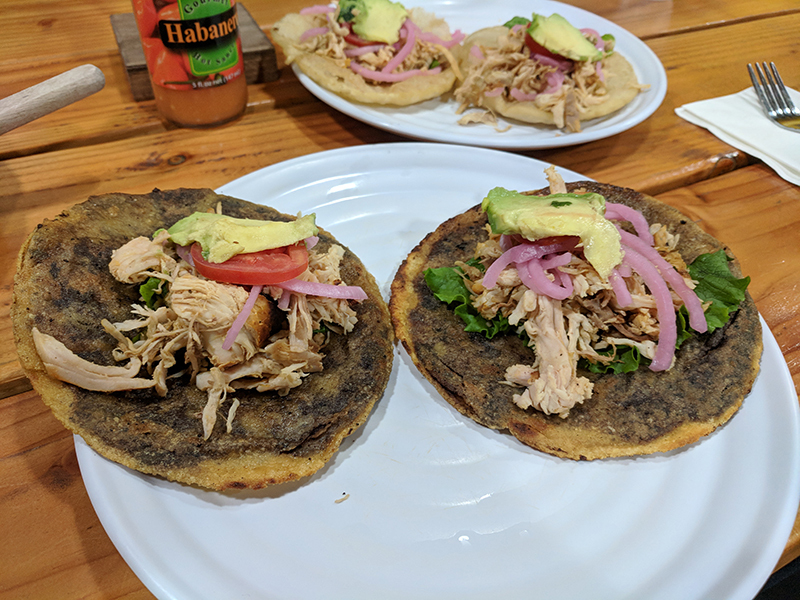 Anyway, I'm not making any judgement on quality or flavor, just sayin' it looks pretty different than what you typically get in the Yucatan, including in very old school places. yes, i believe the dad went back to the yucátan a couple of years ago; my understanding is that not much has changed though. your input's appreciated--like i said, i know nothing about the yucátan or its food. Note that it is spelled Yucatán with the accent on the last "a". I've not been to Chichen Itza in L.A. but have wanted to go. I love Yucatecan food. I found several Lebanese restaurants in Mérida that I liked when I was there, and I also love cochinita pibil, which I also make myself. Thanks for the Desi Arnaz video! Yes, it's been ten years since I was here, but I've bookmarked the site so that I can easily return now. the chichen itza folks also operate holbox, a seafood-only stand in the same complex (mercado la paloma). we went there for lunch in late december during a day at the exposition park museums and really liked everything we ate: yellowtail ceviche, marinated surf clam, various seafood tacos, excellent aguachile with scallops. highly recommended. Looks great. I'm pretty sure that pulpo is not en su tinta as the menu says, but en la tinta de otros. 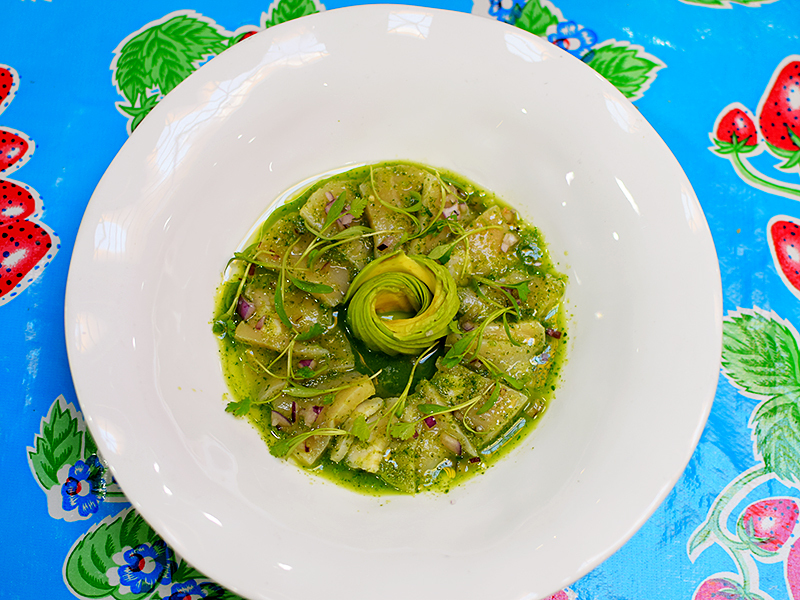 Also you should go to holbox the place, where the cooking isn't nearly as sophisticated but the boat comes back at noon and by one the fish is ceviche. yes, the english translation makes that clear.